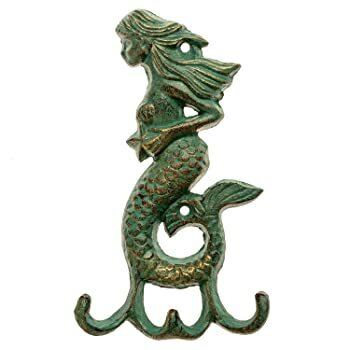 Mermaids are creatures that many claim are really beautiful, having several figures of Mermaids to decorate will surprise everyone who visits your office or home, you can even have them in your room to feel comfortable surrounded by those sculptures, in our store you will find many figures, you may take one or several of them. As mythological creatures we have always wanted to see or touch them, the figures can in some way satisfy that need, also help to decorate any part of our home, to give a touch of beauty either as a centerpiece or decorative point on a shelf or office desk. If you are having a party or meeting for any reason that has to do with this theme, Mermaid decorations can help you to form that aquatic environment full of life, beauty and harmony, just imagine some of our sculptures in one of those tables, it will look really fabulous. But not everyone buys a sculpture for a meeting, we can give it to someone as a motive or present on a special day, he will surely like it because Mermaids are creatures that many love, but be sure to ask him if he likes them, can you imagine that he hates them and ends up giving them away or throwing them away? Let’s not be pessimistic, for sure he will like it.